Comment: Lisbon, Portugal-based Lemur's 15-track record is long enough to provide many enchanting moments regardless of a quite confined stylistic array. Or maybe I misunderstood the extent of it. In general, it is post-rock though the artist is very keen to go beyond its borders as frequently as it is needed. It in turn depends on how to avoid being an average, even possibly boring post-rock artist. 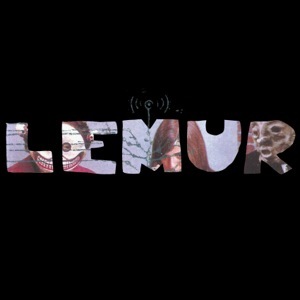 Lemur is successful in doing of it. For instance, monumental guitar, bass and drums interplay is frequently variegated with poignant violin arrangements, sensible glockenspiel chords, psychedelic keyboard interpolation (most remarkably at Widmannstätten). Once in a while the prevalent soundscape consisting of soaring guitars, bold bass lines and thumping drums is jettisoned in favour of rhythmically more high-strung math rock/technical metal/stoner rock/progression rock matrixes (at Cell's Cleavage, for example). One of the most favourite songs is Razor Lung wherein one could trace post-rock-ish instrumentation (at times one could discern even post-punk-ish glimpses) complemented with lofty violin gears reminding of easiness of Penguin Cafe Orchestra, for instance. Spikes and Nails on the other side is the demonstration of power through fast-changing guitar chords, massive overwhelming energy having its source somewhere between blackened and white matter. It is an unsteady madness, and it would be a crime to hold it steady. In a word, this 15-track issue is decorously and expertly played out enough to remind it for a long span of time. The release is a part of the catalogue of Portuguese record label Enough Records.